The law in our county states that when a dog bites a person, the pet owner must take the dog to an animal hospital for rabies observation. When the owners fill us in on what happened, they often tell us that the bite was predictable: Their dog got loose and bit the UPS guy who had walked onto their property, or the owner tried to break up a skirmish between two dogs and got nipped. But another refrain we often hear is that the bite was completely unexpected. 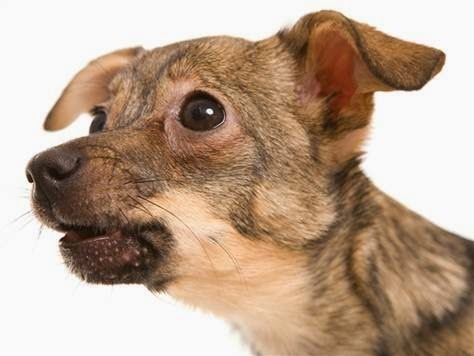 In fact, the “unpredictable” bite often would be quite predictable if more pet owners took the time to “speak dog.” Though many owners don’t realize it, their dog expresses himself loudly in dog language, doing everything he can to let us know exactly how he feels. Here’s a common example: Grouchy the Lhasa Apso is lying comfortably on the bed. The owner wants to stretch out her legs, so she needs to move Grouchy. As her hands approach the dog, Grouchy’s body stiffens, his head lowers, his neck extends upward, and he licks his lips. He then stares intently at the owner, raises his trembling upper lip slightly, and lets out a rumble. As the owner grabs Grouchy, he explodes in a fit of rage and bites her on the hand. Grouchy spoke loudly to that owner, but she didn’t listen. In the past, he had often progressed from the initial stiff-body phase to the grumbling stage without further incident, so the owner felt that the bite “came out of nowhere”; in fact, it was overdue. Had she listened to Grouchy the first time he exhibited that behavior, not only would she have avoided a bite, she could have gotten help from a trainer and stopped the misconduct immediately. Now she’s afraid of Grouchy, and the bond between them has been damaged. Owners of dogs like Grouchy might think that their pet is trying to dominate them or is just plain mean, but most dogs that bite are fearful, anxious, or submissive. Dominant leader dogs are confident and cool, and are usually not aggressive dogs. Most owner-directed aggression is due to anxiety, not the wish to subjugate. When owners misunderstand that, they often use physical force to control their dog in an attempt to get him to behave. That tends to make the problem worse, actually escalating the aggression. Humans are primarily verbal communicators and are apt to understand sounds much better than they do body language. A person usually grasps the meaning of a growl or a bark but won’t comprehend or even notice nonverbal cues. The American College of Veterinary Behaviorists has put together a useful table of those cues, which is on our website. Check out the list, and see how many you can interpret. In future blogs I’ll suggest techniques you can use to successfully interact with most dogs, whether it’s your own furry friend or the one you encounter at the park. Begin to watch other peoples’ pooches and really pay attention to their eyes, ears, face, tail, and body position. In other words, learn to listen with your eyes! You hadn’t really planned on getting another cat, but then the neighbors found a litter of kittens under their deck. Your whole family has been petting and playing with them, and you’ve grown particularly fond of the little brown tabby. You’re convinced that your own cat gets lonely and that a new kitten will be the perfect antidote. Cats are social, but at the same time independent and territorial. They have the reputation of being loners, and to some extent, that’s accurate: They don’t readily accept newcomers into their territory as a dog might. Yet cats do often enjoy the company of other cats, as long as they feel they have their own safe places to eat, sleep, and eliminate. Whether you are adding a second cat to your household or a tenth, you’ll need to make sure those basic requirements are met for every feline in your house. Before you bring home a new cat, certain preparations must be made. I liken this process to premarital counseling: A thorough job now will prevent a “divorce” later (i.e., euthanasia or finding a new home for one of your kitties). First, be realistic about your domain: A small house or apartment might not have enough territory to allow a new addition. Be especially aware of whether you have room for more litter boxes; ideally, each cat should have its own box. 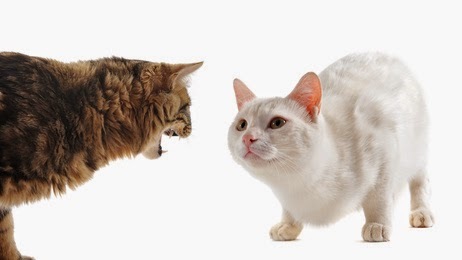 If your current cat has any major behavioral issues, such as elimination problems or aggression, those must be solved before the new cat arrives. And realize that there will be added costs of supplies and veterinary care. It’s great to selflessly rescue a cat, but you’re really not doing him any favors if you can’t afford to treat him when he’s sick. I think all new cats should have their own “safe room,” where they can enjoy sanctuary from the resident cat for a while. It allows the newcomer to adjust to new people and scents in a calm and safe environment. Pick any room you aren’t using, and set it up from a cat’s point of view. If all you have available is a small bathroom, just do the best you can by modifying the following suggestions. A place to hide is important, and cardboard boxes provide inexpensive caves. Simply cut appropriately sized cat holes in the sides and line the box with a soft blanket. You can be creative and link boxes with tunnels. 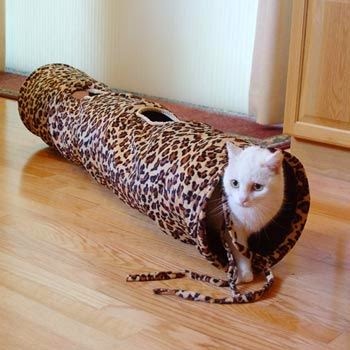 Even better, invest in a cat tunnel, which is something cats can enjoy their entire life. Cat owners know how hard it can be to extract a frightened feline from under a bed, and the provided caves or tunnels help make that unnecessary. Position the litter box as far away as possible from the food and water bowls. If you know the type of litter your newcomer is accustomed to, use that; you can always change it later. Otherwise, provide an uncovered litter box. (Consider my favorite litter, the Breeze System.) Don’t forget to cat proof the room. You’ll need to provide a good scratching post; a new one without the scent of your existing cats on it is best. Add a few appropriate cat toys, including an interactive toy so you can play with your newbie. A new cat tree would be a nice luxury, although a cat bed secured well off the floor is suitable. The use of cat pheromones, such as a Feliway Plug-in Diffuser, will help calm your new kitty. Plug some in for the cats on the other side of the door, too. When your preparations are complete and the big day has arrived, bring the new cat home in a carrier. Go directly to the safe room, close the door and open the carrier. At this point, you can spend a little time with a new kitten, but an adult cat might appreciate just being left alone to check everything out. It might seem a little extreme, but it’s best to keep the newcomer’s scents off you during the initial introductory phase. Keep an extra T-shirt in the safe room that can be removed when you leave, and wash your hands before handling your resident cats. Expect your existing cat to hang around the safe room door. If he does, don’t make a big deal out of it, but do try to distract him with lots of play so he doesn’t become obsessed with camping outside the door. Use playtime as a way to bond with the new cat, too, with multiple sessions throughout the day as time allows. During this initial phase, the cats will get used to each other’s scents and sounds. Initially, the new smells might send any of the cats into a hissing and growling tizzy; that is to be expected! You’ll know things are going well when the cats can smell each other through the door and act calmly. Other signs of success are that your resident cats go about their daily routines again, are willing to play without redirecting aggression to each other, and have normal appetites. The newcomer should seem calm and secure; if he is still hiding under the bed or won’t eat, you can’t progress to the next step. Some cats thrive in their new home and acclimate quickly, while others take far longer — and the same is true for the resident kitties. So let the cats tell you when the time is right to move along. Never force cat-to-cat interaction! The next step in the process is to exchange scents. My research led me to a book (Cat vs. Cat by Pam Johnson-Bennett) describing a clever way to accomplish that: the sock exchange. Put a clean sock over your hand, as you would a mitten, and rub it gently on your calmest resident cat’s face to collect the pheromones. Place it in the safe room for the newbie to explore. Repeat using a clean sock on the new cat and placing that sock with the resident cat. Have more than one resident cat? Just do this one at a time over a day or so; all at once would be overwhelming. Perform the sock exchange a few times a day to make sure all of the cats get used to one another’s scents. If there’s a strong negative reaction to the sock by any cat, don’t be discouraged, as that doesn’t predict that they won’t get along. It does signal that the introduction might take a long time, though. Next, it’s time for the room exchange. Confine the resident cat, open the safe room door, and allow the new cat to explore the entire house at his own pace. Use toys or food as motivation if he acts nervous. Then, safely confine the new cat and allow the resident cat to explore the safe room — don’t dump her in there, just leave the door open. Keep these room exchanges sessions short, and do them two or three times a day if you can. When both cats seem comfortable with the new scents, it’s time to let them meet each other. These sessions should last only 30 seconds to a few minutes at the most. Open the safe room door while offering the cats treats or a snack of something really delicious, like pieces of chicken. Keep them on opposite sides of the room. Use interactive toys to distract either cat if you notice any sign of fear or aggression. Do as many of these sessions a day as your schedule allows. It’s better to do six short ones, in which they get along, than one long one, when they end up hissing. Increase the interaction time gradually until they coexist for at least an hour. You’ll want to keep the new kitty in the safe room at night for a while, but eventually they’ll intermingle full time. If all goes well, the introduction process will take a few days. However, sometimes it takes months. That can try any cat owner’s patience, but don’t be discouraged. Go back a step if you get hissing or growling, and proceed more slowly. I’ve actually had clients buy screen doors and install them as the safe room door until things settle down. Eventually, all your time and perseverance should pay off, and both you and your kitties will enjoy a new companion. I could see the wagging tails through the windows and hear the barking as I swung my car door shut and approached the house. Mitzi opened the door to greet me. “I’m warning you, Molly: Copper has no manners. So do what you have to do.” Copper is an exuberant adopted Lab who lives with Mitzi, her five other rescued Labrador retrievers and her son’s Old English Sheepdog, Ivan. Indeed, 10-year-old Copper jumped on me a few times, displaying the most energy of all her dogs. Mitzi is Mitzi Heytow. She’s no ordinary pet owner, and her dogs aren’t typical rescues. She specializes in taking in elderly Labs who are unadoptable because nobody else wants them due to advanced age and infirmity. What also makes her unique (some might say a little daft!) is that at any given time she has an average of six of these lovable dogs sharing her home. She began her mission over 12 years ago and since then has adopted more than 35 dogs. I was interested in the logistics of keeping so many dogs, so I had Mitzi give me a tour and explain their schedule. They eat twice a day and get a cookie at noon. At feeding time, Mitzi says, the barking is incredible: These pooches don’t tolerate delays! The feeding stations are organized in a separate room, with bowls elevated on stands to make it easier for them to reach the food. 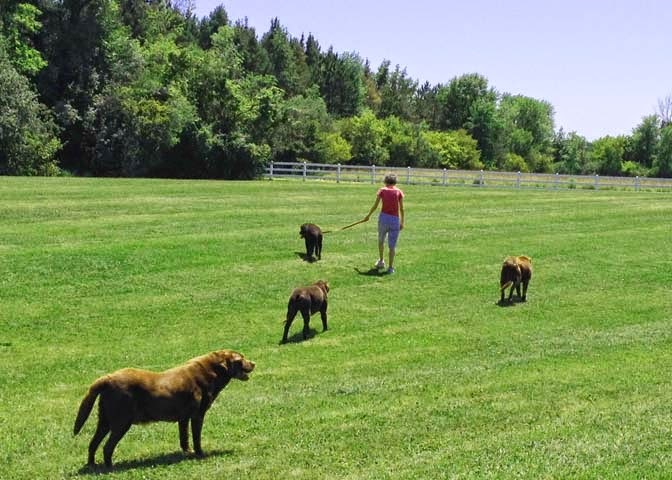 They get five walks a day on her 25-acre property, which includes a pond and a swimming pool. But they can stroll outside onto a huge fenced-in lawn via a doggie door any time they want. By evening they’re all gathered around Mitzi in the bedroom while she reads and watches the news. The Labs come to her with some heartbreaking histories. DJ was confined with a gluttonous crate mate who ate most of the food. “When I got him, he was a cadaver in desperate need of a savior,” Mitzi said. Ernie was found in a forest, tied to a tree. Remi was chained in a garage her entire life. She came to Mitzi emaciated and with facial muscle atrophy so severe that she couldn’t open her mouth to eat. After months of being hand-fed pureed food, she made a full recovery -- “an unexpected miracle,” according to the specialists at Veterinary Specialty Clinic in Buffalo Grove. Perhaps the most heart-wrenching tale is that of Bentley. He spent his first 10 years chained up in a basement, never seeing the light of day. He was neglected and abused, and also overfed. By the time Bentley was rescued, he was so obese that it was hard to get him up the stairs. Although the next two years of his existence were rife with medical problems, Mitzi was determined to do everything it took – including spending many thousands of dollars on veterinary expenses –to save him and give him the wonderful life he never had. He died at age 12, and his loss was perhaps the most devastating for her so far. losing the dogs is the hardest part of what she does and has taken an emotional toll on her. Mitzi describes the cost of her philanthropy as astronomical. Most of her rescued dogs need laboratory testing and dental work, and she has spent thousands of dollars on MRIs, x-rays, lab tests and surgeries. Most of us know the joy of raising our dogs from puppies and sharing an active life with them until they’re old; by then the bond is strong, and we don’t mind attending to their geriatric requirements. What could possibly motivate someone to subject themselves to the toil, expense, and heartbreak of adopting dogs with such a limited remaining lifespan? The dogs followed us to Mitzi’s foyer and gathered around as I was getting ready to leave. I posited to her that it must be gratifying to know that you’ve given an old dog a wonderful life at the end, even if it’s just a week. “I never think of that,” she replied. “I always think it could have been better. I consider each dog I take in such a gift.” Within the rescue community, she has been called the patron saint of senior Labs, and I agree with that description. To me, it seems as if she is a gift to each of them. This blogpost is dedicated to Chip, another of Mitzi’s wonderful Labs. He was diagnosed with a brain tumor and euthanized a few days after my visit. She had him for only nine months. Support L.E.A.R.N. and give your pooch a fabulous time! Come to Pawgust Fest, August 23, 2014. Many of Mitzi’s dogs have come from L.E.A.R.N., an acronym for the Labrador Education and Rescue Network. L.E.A.R.N. 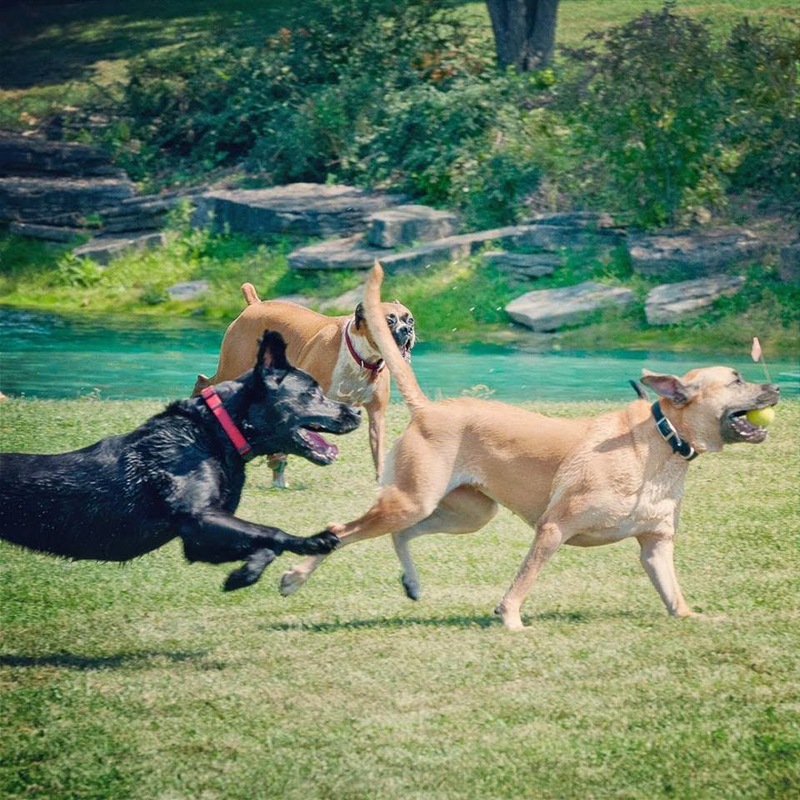 is a Labrador retriever rescue group whose mission is “to save unwanted Labs and place them in loving forever homes.” Several things put this organization in the top tier of rescue groups. Every dog is temperament-tested to make sure it’s suitable for adoption. And the group won’t give a dog to just anybody: Volunteers visit potential homes twice, then decide whether that is the right family for that dog. They also keep in touch with the adoptive family for a couple of years. Those precautions help ensure that the Labs won’t be returned or abandoned once again. L.E.A.R.N. is an all-volunteer group in dire need of foster homes and funding. 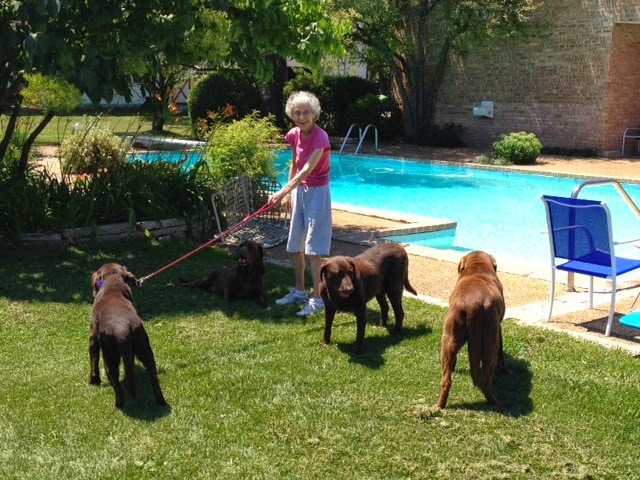 To raise money to support the organization, the annual “Pawgust Fest,” which Mitzi underwrites and organizes, is held at her home in Libertyville. During the event you’ll find dogs carousing with each other and swimming in her pond and her pool. There are also kiosks with vendors offering pet products, and food for dogs and their people. This year’s Pawgust Fest – the 10th – will be held Saturday, August 23, from 11:00 am to 4:00 pm. Just pay a $12 donation per person (kids younger than 12 are free) when you arrive, and watch your dog have a blast! Dogs of all breeds are welcome. My next appointment on a recent Tuesday afternoon was a cat we hadn’t seen since 2006. I opened the patient record on my computer before going into the exam room, curious as to what crisis had finally compelled Furball’s owner to bring him to our animal hospital. Sure enough, poor Furball hadn’t eaten in four days, a dangerous situation for a cat. But why would a cat owner skip eight years of wellness visits? Recent studies have found a decline in the frequency of veterinary visits by cats. The great recession of 2007 affected most of us, so it’s not surprising that the most significant reason veterinarians don’t see as many cats is cost. But to me, that doesn’t entirely explain the situation. After all, the same clients who skip cat visits to our practice bring in their dogs, and they continue to acquire new pets. What other reasons can there be that keep our favorite felines from getting the care they need? Many cat owners believe that because their cats don’t go outdoors, they don’t need a checkup. But dental problems, chronic gastrointestinal disorders, and aging changes such as arthritis will occur whether your cat goes outdoors or stays in. Indoor cats can even get parasites, such as heartworm disease. Mosquitoes can sneak inside and transmit that disease. Even fleas can find their way into a house or apartment building. I’ve had clients assure me that their cat never acts sick, or is “just slowing down because he’s old,” so he doesn’t need a checkup. They tell me about their last cat, who never went to the vet and lived to be 20. I feel sorry for those cats, who are members of a species that is programmed to hide pain. Conditions such as bad teeth and arthritis can cause a great deal of suffering that owners might never detect. Yes, the cat lived to be 20, but did he have the best quality of life possible? A yearly exam allows us to find problems early and alleviate pain, making your cat more comfortable and active. There’s no need for our furry friends to suffer in silence! Does this sound familiar? 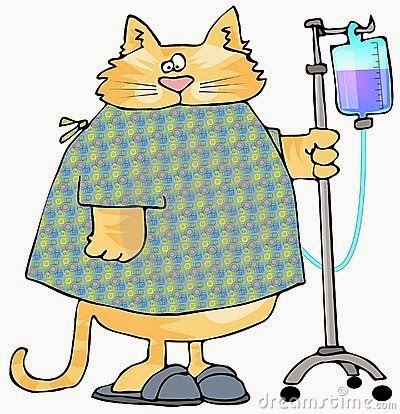 “My cat hates going to the vet, and I don’t want to stress her.” With the right carrier, proper handling, and a few tricks, we can make a visit to our hospital much more pleasant for your kitty. Just call us, and one of our doctors can consult with you and come up with a good plan. And watch for a future blog on this important topic! Would cat owners take their pet to the veterinarian more often if they knew it could prevent problems and expensive treatment later? According to the American Veterinary Medical Association, only 56% say yes. But it’s true that you can often avoid an expensive health crisis through early diagnosis of a problem. And regular checkups are also important to help your cat attain a healthy weight and alert you to troubling behaviors. Furball is a good example of that. Upon taking a history from his owner, I learned that he had been vomiting two or three times a week for several years. His owners never considered it a pathological problem, just a normal thing that cats do. The severely dehydrated kitty lying on my exam table had grossly thickened intestines, a red flag for lymphoma in a cat with his history. (See my previous blog “‘Just’ a hairball? Maybe not.”). Saving his life would require loads of supportive care, imaging studies and blood work. Had he come in years earlier, it’s quite possible we could have put him on medication that would have prevented his condition from becoming critical. Too often we find clients crying in our exam room over a similar crisis that could have been prevented. Don’t be that sad cat owner; keep your own Furball as healthy and happy as possible with regular veterinary care.